Home » Articles » Don't Wait! Get Your Flu Shot Today! Did you know there are more than 1 million cases of the flu in the United States each year? Did you know flu season started in October and can run through May? The best way to protect yourself and your loved ones from the disease is by getting a flu shot each year. It's safe and effective. Anyone can catch the flu, even young, healthy adults and children," said Fidelis Care Chief Medical Officer Sanjiv Shah, MD, MPH. "Getting vaccinated can reduce flu illnesses, doctors' visits, missed work and school, and flu-related hospitalizations." Everyone over the age of 6 months should get the flu shot. The flu can be extremely dangerous to children younger than 5 and especially those younger than 2. The flu virus is very contagious, and can spread rapidly from a sick person to other contacts through droplets from sneezing or through hands or objects that have not been properly washed. By getting vaccinated, you're not just protecting yourself, you're also helping protect family and friends by limiting the spread of the disease. In fact, the most effective way to protect children younger than 6 months is to make sure family members and caregivers are vaccinated. Flu vaccinations also are important for older family members and grandparents. Adults over age 65 are most at risk for flu-related complications. Also at risk are people with certain medical conditions, including asthma, diabetes, chronic lung disease, heart disease, and those with a weakened immune system caused by HIV/AIDS or cancer. Remember you need to get a flu shot every year because the vaccine changes annually so it can fight the flu better. In addition, the effectiveness of the flu shot wears off over time, so last's year shot won't protect you this year. 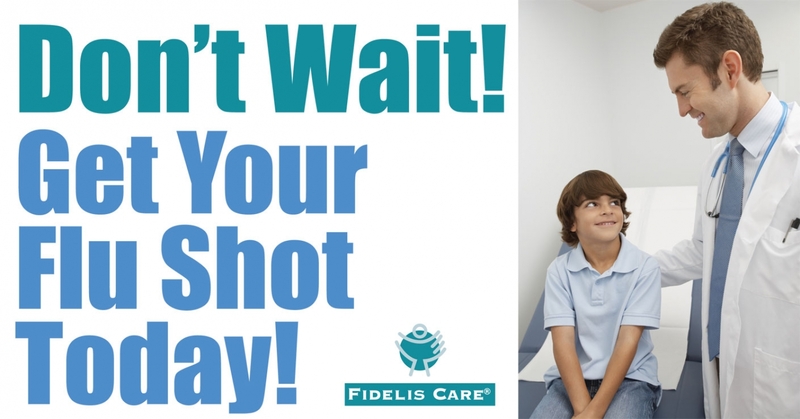 Getting your children their shots can be an emotional experience for the kids (and parents, too), but it's worth it. Here are some steps to help prepare and comfort your child when it is time for shots. Pack a favorite toy or blanket to comfort your child. Relax as your child can sense your feelings. For older children, calmly tell them that shots can pinch or sting, but won't hurt for long. Let them listen to their favorite song. Touch child soothingly and talk softly. Make eye contact with your child and smile. Hold child on your lap and show them a toy. Hold or cuddle your child. Ask your doctor for advice on using a non-aspirin pain reliever when you get home. Make your child's next appointment for immunizations. For older children, give praise and support, and let them pick a special activity for later in the day. Watch your child for the next few days. You might see a small rash or notice a fever. If your child has any reaction that concerns you, call your doctor or seek medical attention. Avoid people who are sick with the flu. Try not to touch eyes, nose, and mouth. Germs spread this way. Most doctor's offices and pharmacies have the flu shot available now. Talk to your doctor today if you have any questions and to find out which flu shot is right for you.